The global biopharmaceuticals market accounted for $186,470 million in 2017, and is projected to reach $526,008 million by 2025, registering a CAGR of 13.8% from 2018 to 2025. Biopharmaceuticals are substances that are produced using living organisms, such as microorganisms and animal cells, and have a high-therapeutic value. These large and complex molecular drugs are also known as biologics and biotech drugs. 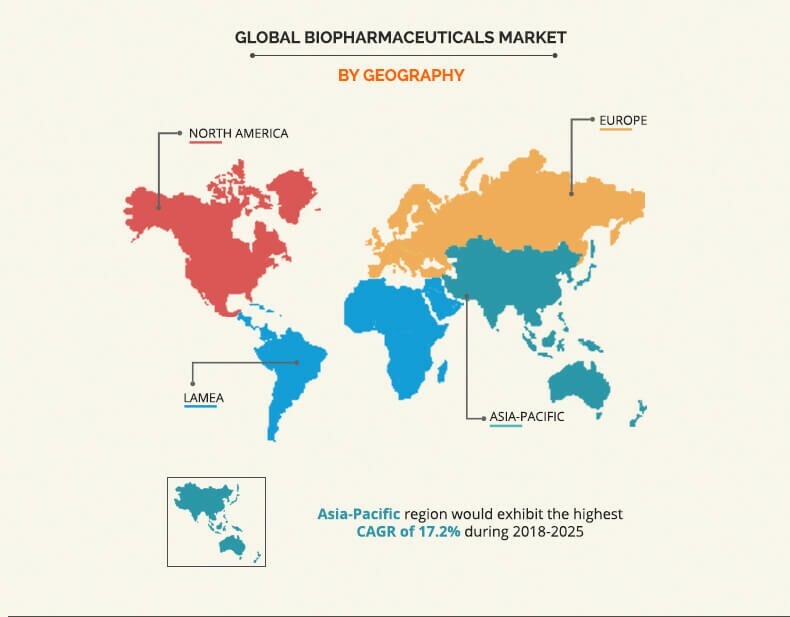 The global biopharmaceuticals market is driven by various factors, such as increase in elderly population, surge in prevalence of chronic diseases such as cancer and diabetes, and increase in adoption of biopharmaceuticals globally. Furthermore, rise in strategic collaborations among biopharmaceuticals companies is also anticipated to supplement the growth of the biopharmaceuticals industry. However, high costs associated with drug development and their threat of failure are factors anticipated to restrain the growth of the global biopharmaceuticals market. Conversely, emerging economies, such as India and China, are anticipated to provide lucrative growth opportunities to the key players involved for business expansion in the global biopharmaceuticals market during the forecast period. The global biopharmaceuticals market is segmented based on type, application, and region. On the basis of type, the market is divided into monoclonal antibody, interferon, insulin, growth and coagulation factor, erythropoietin, vaccine, hormone, and others. 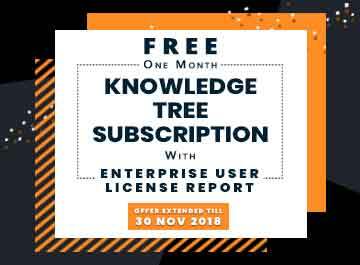 By application, it is categorized into oncology, blood disorder, metabolic disease, infectious disease, cardiovascular disease, neurological disease, immunology, and others. Region-wise, it is analyzed across North America, Europe, Asia-Pacific, and Latin America Middle East and Africa (LAMEA). The monoclonal antibody segment dominated the global biopharmaceuticals market in 2017, owing to the wide adoption of these drugs to treat chronic diseases, such as cancer. 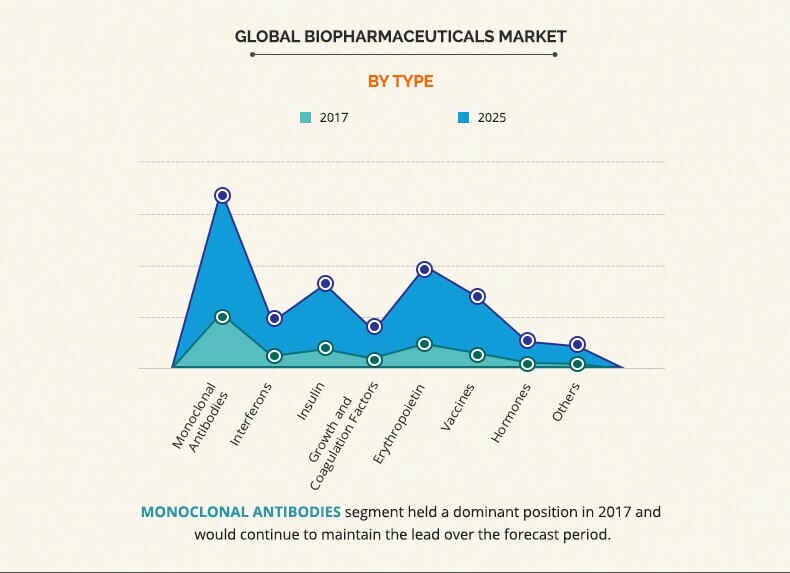 Furthermore, surge in R&D with respect to oncology drug development is also anticipated to boost the biopharmaceuticals market for monoclonal antibodies. Rise in focus of vendors on the emerging markets, such as Asia-Pacific and LAMEA, is expected to boost the market growth. The Asia-Pacific region is projected to witness significant growth in future, owing to increase in R&D investment, rise in adoption and availability of biopharmaceuticals for disease treatment and surge in disease diagnosis awareness. Furthermore, this region presents remarkable opportunities for venture capitalists and investors, because the developed markets are comparatively saturated. The report provides an extensive competitive analysis and profiles of the key market players, such as Abbott Laboratories, Amgen, Inc., Biogen, Inc., Eli Lilly and Company, F. Hoffmann-La Roche, Ltd., Johnson & Johnson, Merck & Co., Inc., Novo Nordisk A/S, Pfizer, Inc., and Sanofi. The other players in the value chain (not included in the report) include Bristol Myers Squibb Company, Bayer AG, and Shire plc. The study provides an in-depth analysis of the global biopharmaceuticals market along with the current trends and future estimations to elucidate the imminent investment pockets of the global biopharmaceuticals industry. 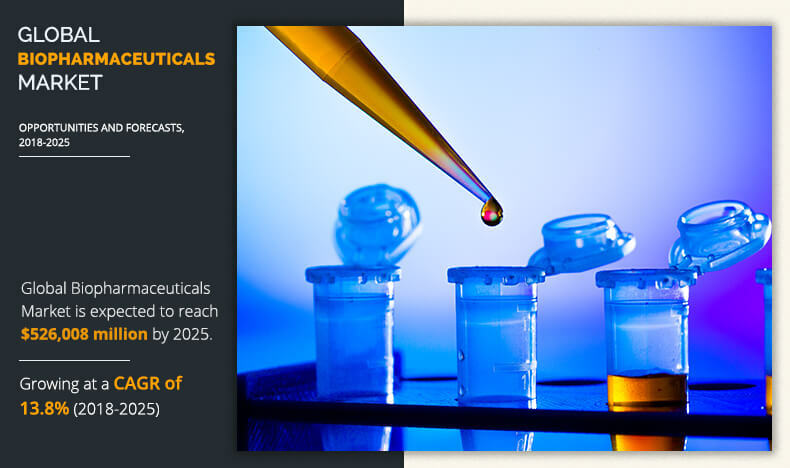 The report presents a quantitative analysis of the biopharmaceuticals market from 2017 to 2025 to enable stakeholders to capitalize on the prevailing market opportunities. An extensive analysis of the biopharmaceuticals market based on type and application assists in understanding the trends in the global biopharmaceuticals industry. The key market players along with their strategies are thoroughly analyzed to understand the competitive outlook of the biopharmaceuticals industry. 7.5. F. Hoffmann-La Roche Ltd.
Biopharmaceuticals have positively affected diverse fields of disease treatment and prognosis. Diseases that were otherwise debilitating and life-threatening are managed through administration of these drugs. The demand for biopharmaceuticals products has increased considerably, owing to increase in prevalence of chronic diseases, such as cancer and diabetes, in both developed and developing economies. The key factors, such as increase in prevalence of obesity and rise of sedentary lifestyle in the populace, boost the biopharmaceuticals market globally. Furthermore, increase in awareness about biopharmaceuticals products and surge in strategic collaborations among biopharmaceutical companies are anticipated to drive the market growth during the forecast period. However, high treatment costs per patient, stringent government regulations towards biopharmaceuticals, and high costs associated with drug development restrict the market growth. The use of biopharmaceuticals modalities is highest in North America, owing to availability of biopharmaceuticals products, surge in R&D, and rise in expenditure by the government on healthcare, followed by Europe and Asia-Pacific. In addition, biopharmaceuticals companies have focused on expanding their presence in the emerging economies, which is anticipated to drive the market growth.